Super Savings Item! 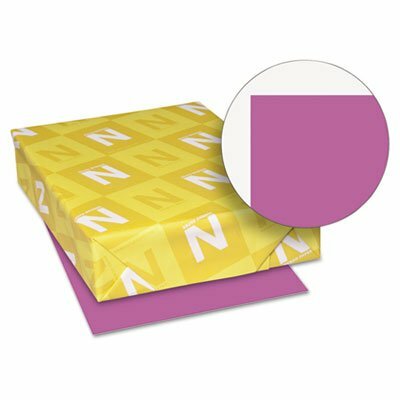 Save 40% on the Wausau Paper Products - Wausau Paper - Astrobrights Colored Paper, 24lb, 8-1/2 x 11, Planetary Purple, 500 Sheets/Ream - Sold As 1 Ream - The brightest and the best! - Attention-getting notices, flyers, announcements and bulletins. - Guaranteed performanc by Wausau at Community Frontiers. MPN: 22671. Hurry! Limited time offer. Offer valid only while supplies last. Impress with the brightest and the best! Designer colors help you create notices, flyers, announcements and bulletins that grab people's attention. Impress with the brightest and the best! Designer colors help you create notices, flyers, announcements and bulletins that grab people's attention. Specialized engineering ensures trouble-free performance in all laser and inkjet devices. Acid-free stock provides excellent fade resistance. This product was made from wood that came from a certified managed forest. Size: 8 1/2 x 11; Paper Color(s): Planetary Purple? ; Paper Weight: 24 lb; Sheets Per Unit: 500. If you have any questions about this product by Wausau, contact us by completing and submitting the form below. If you are looking for a specif part number, please include it with your message.